Russell Moore & IIIrd Tyme Out have announced the long-awaited release of new music on their newly formed label, Break-A-String. “Brown County Red,” the first single from the band’s upcoming album, The Test of Tyme, drops to radio today. 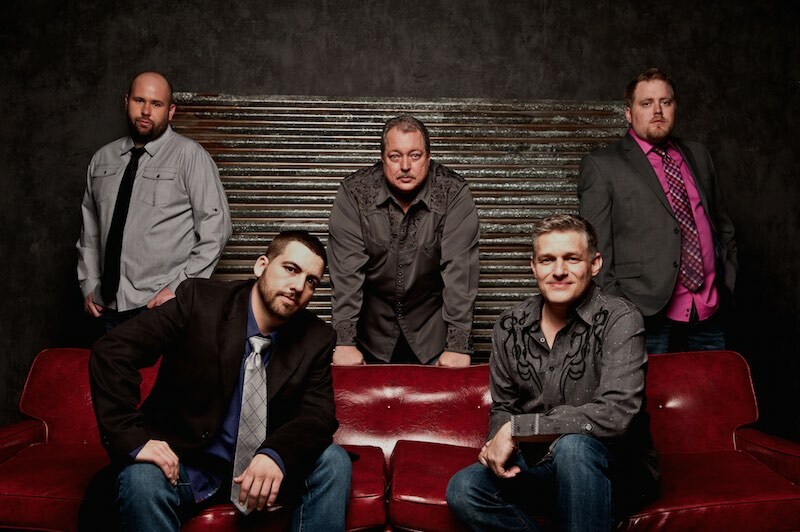 For nearly 25 years, Russell Moore & IIIrd Tyme Out have proven their staying power and have firmly marked their place in bluegrass music as a powerhouse, headlining group, due in part to over 50 industry awards to their credit. But when it comes right down to it, it’s the music, their own unique sound fronted by the golden voice of Russell Moore, that will be archived in the music history books long after the band has played their last note. IBMA’s most awarded male vocalist with five trophies under his belt, along with veteran members Wayne Benson on mandolin and Justen Haynes on fiddle welcomed the two newest members, Keith McKinnon on banjo and Blake Johnson on bass at the end of 2013. Even after being a professional musician his entire adult life, Moore is still on fire with enthusiasm and is quick to want to speak about the new configuration of IIIrd Tyme Out and the band’s next chapter. Keith and Blake have been in the band now for a little over a year and we’re all very excited about the makeup of the group as it is now. The stuff that they bring to the group to make the IIIrd Tyme Out sound is special. We’ve been looking forward to getting in the studio, to document and to put something down that shows what we have to offer now.” The excitement from Moore continues when the subject of starting his own record label comes up. “A couple years ago we decided to start our own music label and it’s called Break-A-String. It’s exciting to be in that much control of everything that’s going on around you – Russell Moore. With new life breathed into the band, a new record label, and an armful of first-rate songs in tow, Russell Moore & IIIrd Tyme Out sought out a new recording venue with only one familiar piece requested; that they bring Grammy Award winning engineer Brandon Bell back on board. Bell engineered the band’s previous album and the team discovered that the combination worked like a well-oiled machine. And with that, the band landed at Southern Ground Nashville, owned by country music star Zac Brown, where Bell is the studio director and chief engineer. The studio’s staff welcomed the band with open arms and were thrilled to have this supergroup as the first band to record a bluegrass record at the historic site. Written by Kyle Burnett, “Brown County Red” is the first single from the new album, The Test of Tyme, due for release this summer. A quick three-quarter time signature, the song will immediately grab the attention of listeners for its uniqueness. Add in the swift fiddle kick supported by solid mandolin chop, some of the finest banjo picking and bass playing in the business, and then top it off with Moore’s unmistakable power-driven vocal and signature IIIrd Tyme Out harmonies akin to the very early years in the band’s history, and “Brown County Red” will make for a sure-fire hit.